Dragon Boat Chinese Restaurant provides exciting Cantonese food. The chefs from China and Hong Kong deliver an array of Cantonese and Peking dishes. 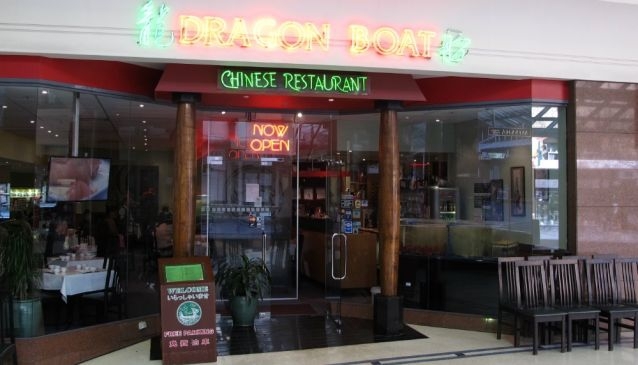 Located in the centre of Downtown Auckland on Elliot Street, Dragon Boat is a large, modern and open restaurant offering Yum Cha, Lunch, Dinner, Banquet and Takeaway menus. Portions are generous and along with the main menus there is a choice of live fish, lobster and mud crab straight from the restaurant's fish tank. The drinks menu is extensive and good value with a large selection of wines, beers, cocktails and non-alcoholic drinks. Yum Cha is also served daily with more than 70 different items.